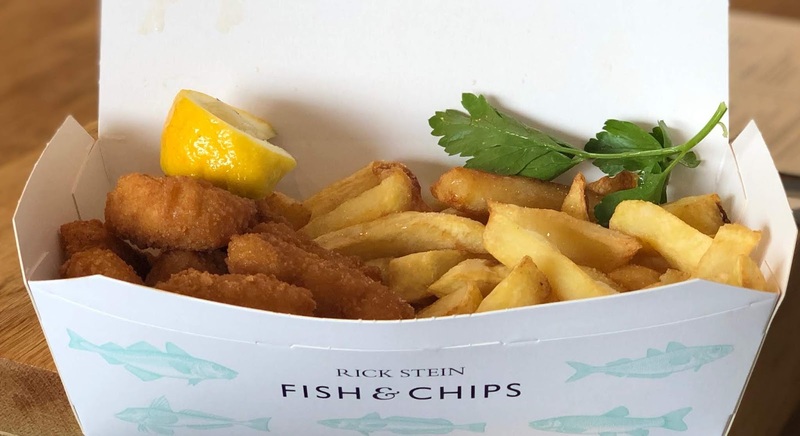 One of the reasons we wanted to go was to visit Padstow, seeing the quaint harbour town on so many Rick Stein TV shows made us resolve to pay a visit to one of his restaurants. With the kids being in tow we decided against the fine dining restaurant and went to his Fish 'n' Chip shop instead. We were the first ones there when it opened and we were glad we turned up so early as it soon filled up and there was even a queue to get in the door. The chippy has a restaurant you can sit in and takeaway area, we decided to sit in for our lunch. We decided to start with some Oysters, I love freshly shucked oysters with some Shallot Vinegar or Tabasco sauce but Mrs. Cool is not so keen so we compromised and went for the Battered Oysters. These are Shucked Oysters fried in a Crispy Batter served with Lime, Soy and Sesame dressing. These were a fantastic choice, the dressing had strong Asian flavours but no too strong to overpower the Oysters. The Oysters themselves were little bursts of the sea in a delicious crispy coat. If you are squeamish about fresh Oysters then I definitely recommend trying them this way. Mrs. 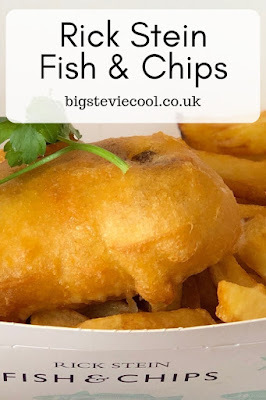 Cool normally gets smokey and chips when we go to the chippy at home but I think this may be a Northern thing as there was no smokey on the menu, instead she went for her second favourite of Scampi and Chips. The Scampi were very fresh tasting as well as being lovely and crispy with a breadcrumb crust while still succulent and plump inside. Me, Harry and Jack all went for the Cod and Chips (Heidi just had chips as she is vegetarian). The Portion size was perfect for the boys but was on the small side for an adult portion but as I'd had the Oysters to start I didn't mind too much. Well what can I say about this Cod and Chips, it was probably the best I've ever. The Chips were crispy on the outside and still fluffy in the middle and with lashings of salt and vinegar they were perfect. The fish though was on another level, I never really appreciated how good Cod can be until I had this. The flesh was tender and juicy whilst being perfectly flakey and the batter was crispy and luscious. 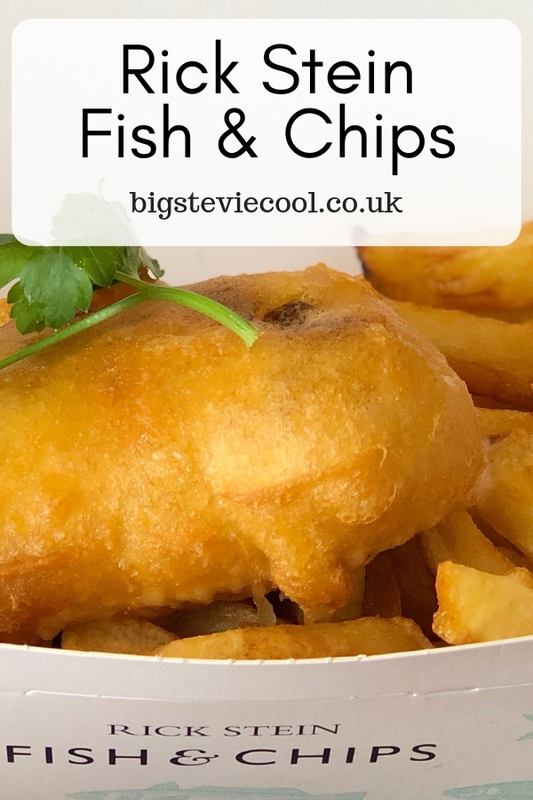 I was happy to see that all of the fried food here is cooked in Beef Dripping as for me this really makes a difference and just makes everything so moreish. Even though I initially thought it was a small portion in hindsight I think it was actually the right size as usually I do leave some chips but here I finished it all and was satisfied but not stuffed. Next time we're in Padstow it will probably just be Me and Mrs. 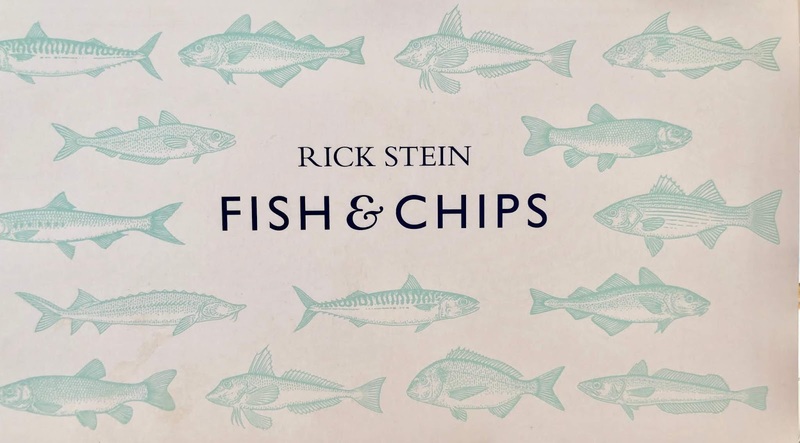 Cool so we will go to Rick Steins fine dining restaurant and if this is how good he does Fish 'n' Chips I can wait to see what the rest of his food is like.